A new package from Beauty BigBang arrived this week and I’ve been champing at the bit to start using the new toys. Sadly, I was delayed by a couple bad days and my first planned out design not working. *sigh* It happens. 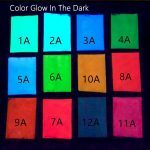 But all that meant I could come up with a design that would use one of the new colors of glow-in-the-dark powder that Maggie sent me: J2103-10A along with BeautyBigBang XL-012. Owls combined with glowing in the dark holds a special place in my heart. 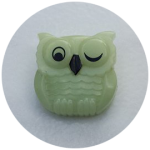 Growing up, my sister had this winking glow in the dark owl pin/pendant that I coveted. Of course, she loves it as much as I do (still) so I will probably end up buying my own some day. Heck, I loved it so much I searched for it online a few months ago and found out it was from Avon. I can have this thing! The quality of Beauty BigBang’s stamping plates seem a given thing now. I have yet to receive a dud. The etchings are deep enough that some regular polishes will work with it, but not so deep that thick stamping polishes like Mundo de Unas won’t work. So with quality a given, let’s talk about the images instead. I already own plenty of owl stamping plates. 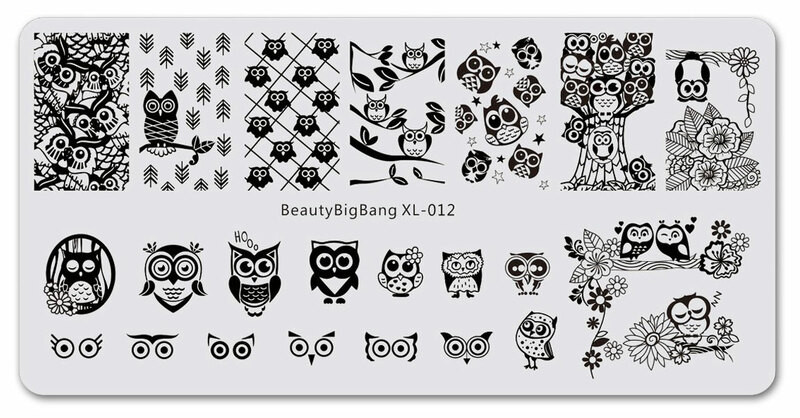 I have four from Born Pretty, one from Nicole Diary, plus lots of owls showing up on misc stamping plates. 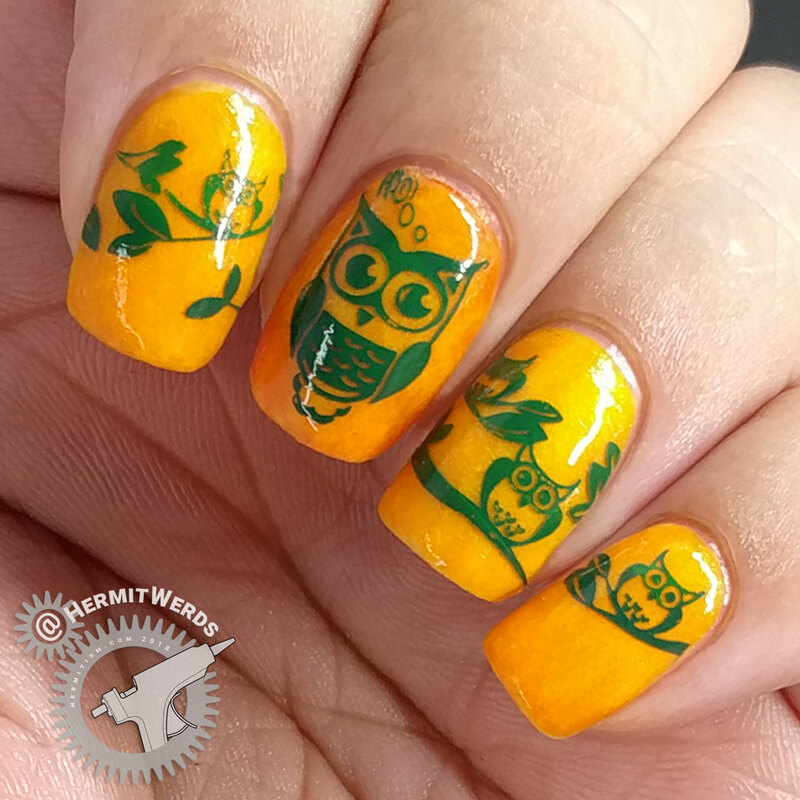 I have owls out the ears and do not need another owl stamping plate. But that sweepy wittle owl in the circle? I…I’m in love with that image. So I found myself walking backwards into justifying asking for this stamping plate. And my reasons ended up being pretty good. Look at the images. Stylistically, most of them match in how they are drawn. You have a couple that are really different like pineapple owl, measles owl, and cat that climbed into an owl’s body owl, but most of them have pretty similar shapes. They go together well. 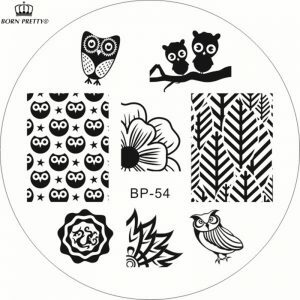 Compare that to Born Pretty’s BP-54. 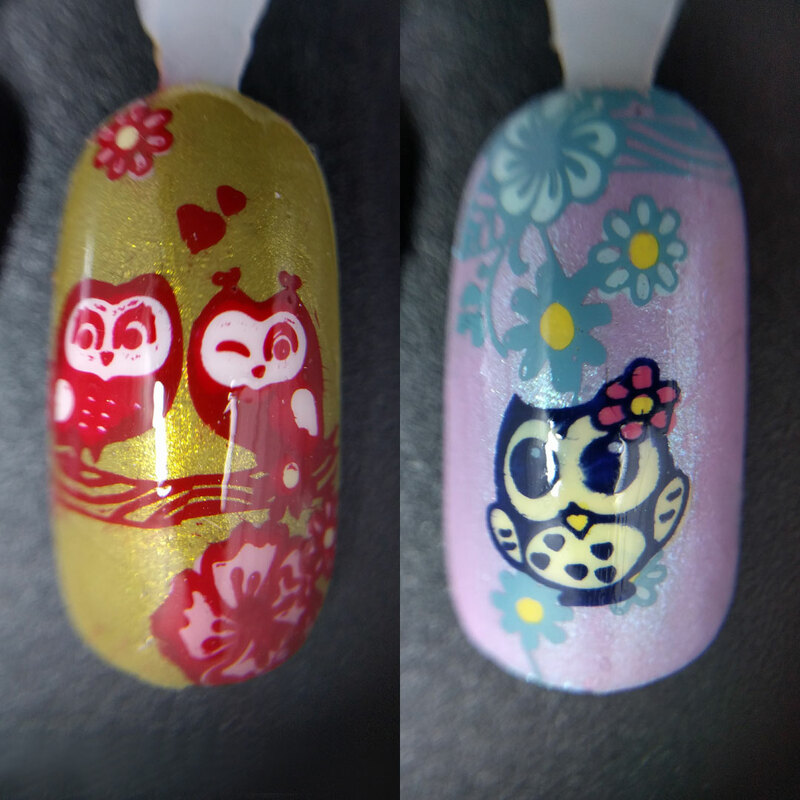 Four different owl stamping images and not one of them matches the others. They all have vastly different body shapes, poses, and eye and beak shapes. They range from a silhouette you’d see on a baby’s bib to the outlines of an owl you could put on an adult man’s t-shirt. You can’t combine them into one cohesive-looking nail art. Beauty BigBang also took advantage of some recent trends like crowd images of critters. 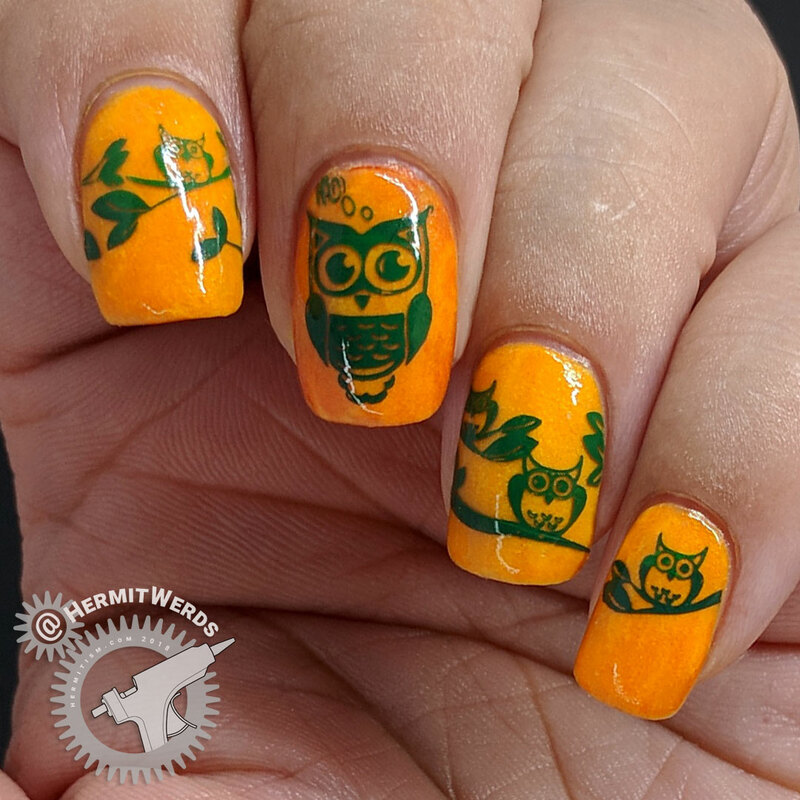 Then they added the eyes so you could make owl emoji nails. This is where I got tripped up because I thought I could make my own owls out of them and it did not work. You really have to go more stylized if you want to do this and maybe stick to one pair eyes. I have ideas that I want to try out sometime. So. I think this plate wins for most versatile and combinable owl stamping plate. Uberchic’s, however, would be a better pick if you like to add puns or if you want a few realistically illustrated owl stamps as well. If I could go back into my buying history, I’d get those two and skip all the other owl-only plates. Romantic Owls. Background is Zoya’s “Scout”. Stamping done with Mundu de Unas’ “Red” and filled in with China Glaze’s “We Run This Beach”, Jenna Hipp’s “Say Yellow to My Little Friend”, and Sinful Colors’ “Starfish”. Flower Owl. Background is Zoya’s “Leslie”. Stamping done with Mundo de Unas’ “Blue Navy” and “Glass” and filled in with Essie’s “Blossom Dandy”, Jenna Hipps’ “Daft Pink” and “Say Yellow to My Little Friend” and OPI’s “I Just Can’t Cope-acabana”. I threw down three coats of Sinful Colors’ “Cloud 9” and “Courtney Orange” to create a base color for the glow in the dark powder to work from. This left my middle finger nail darker than the others, which was the emphasis I wanted. I’m not sure if the powder would have ended up opaque on its own. When I was trying to take my photos, my phone’s camera kept picking up the orange glow as green when in my light box which was weird because it was clearly orange to my eyes. I ended up compromising by taking the photo under the LED nail drying lamp itself where the orange would show in the photo more. This is the first time I’ve tried to use a flat layer of the glow in the dark powder across the entire nail. Now if I’d been willing to just dump the entire packet into a bottle of clear polish to make my own polish, that would have been easy. But I want to keep mine in powder form, so I first started by mixing it with clear polish on my silicone mat. Grainy. Lumpy. Probably could have added more clear polish, but I’d still be fighting the mix drying out before I was done painting my nails. Next I tried painting a layer of clear polish (not fast drying top coat) on my nails and sprinkling a layer of powder on top. That actually worked pretty well. I used a fan brush to brush off the extra and added a second layer. 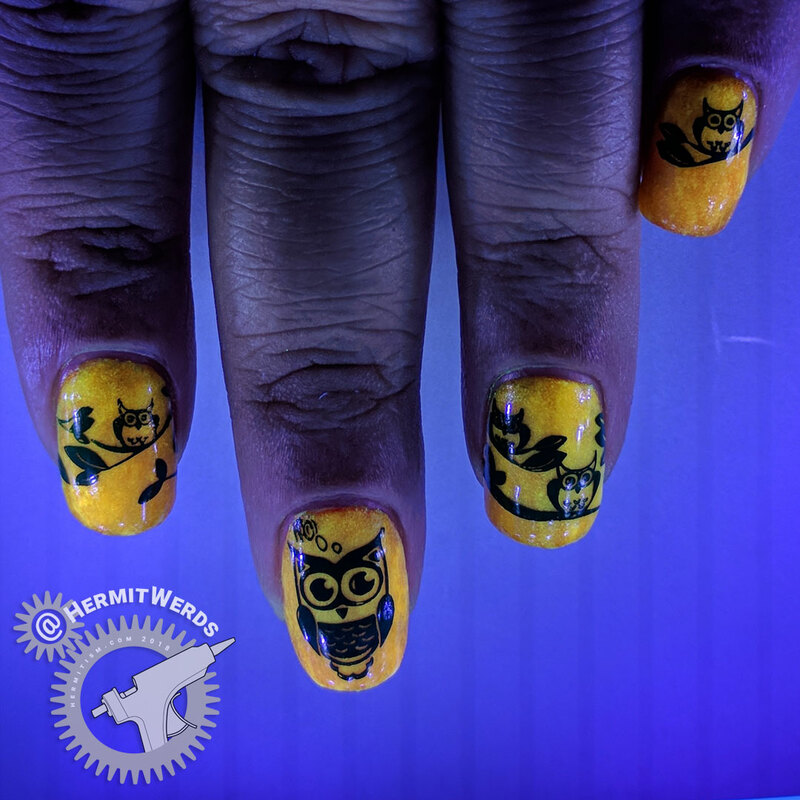 Then I looked at my nails under my LED lamp and added more powder in the areas that clearly didn’t have enough. My results were not an even color, but that could be because of my initial layer of mixed polish and powder. More experimentation will be needed before I have a preferred technique. I am super happy with how glow-y these are though. The light orange is an excellent color. 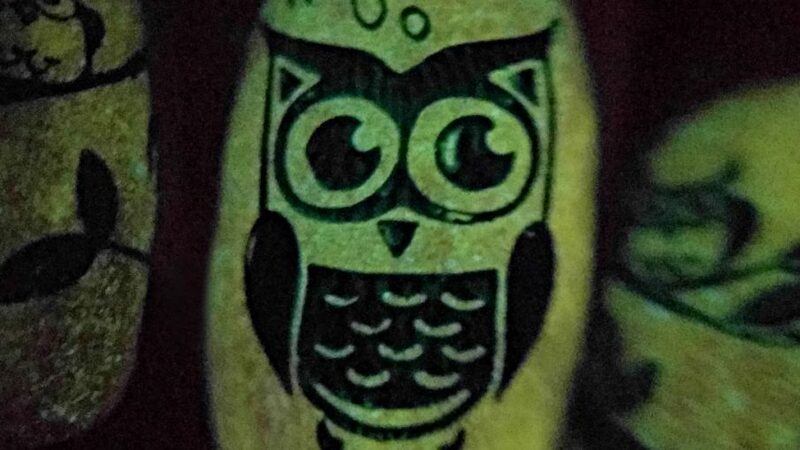 I expect you will see the glow in the dark powder again in October, but since I’m planning on hitting Halloween very hard this year, it will probably be November at the earliest before it’s sleepy owl time. Waiting is hard.